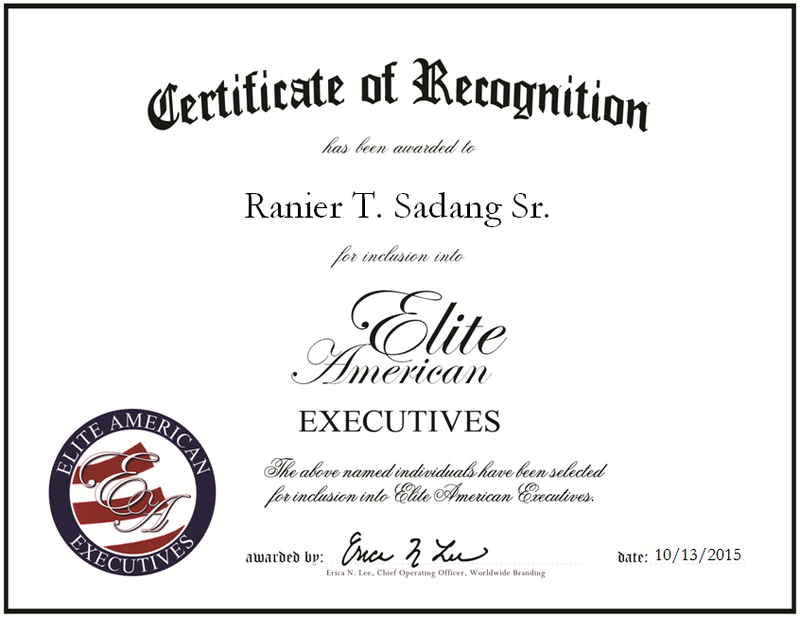 Elk Grove, CA, October 14, 2015, Ranier Sadang, President of Mailroom Dynamics Services, LLC, has been recognized by Elite American Executives for dedication, achievements and leadership in the mailing industry. Motivated by his passion for finding creative and efficient solutions, Mr. Sadang has been a successful entrepreneur for the past three decades. Mailroom Dynamics Services offers service agreements and products for the mailing industry, including wing-arm inserters manufactured by Phillipsburg, Bell+Howell, EMC and Mailcrafters. Mr. Sadang also provides his customers with personalized solutions; if he does not have a product in inventory to satisfy their professional needs, he will seek or build the best-fit products for customized customer’s application. Under his leadership, the team at Mailroom Dynamics has grown to include a staff of 20 employees and training technicians. Mr. Sadang has received commendations for his professional excellence on multiple occasions. Most recently, he was named VIP of the Year and he received a Lifetime Achievement award from Worldwide Branding. To support his career, Mr. Sadang holds an Associate of Arts in electronics technology from Westland College. He also continually develops himself by taking coursework in electronics engineering technology. Looking ahead, he plans to continue growing his business and also bring new products to market. Contact Ranier T. Sadang Sr. This entry was posted in Delivery Services and tagged client assesment, delivery service, equipment and service, mailing industry, mailing systems, sales, training. Bookmark the permalink.